So clever. 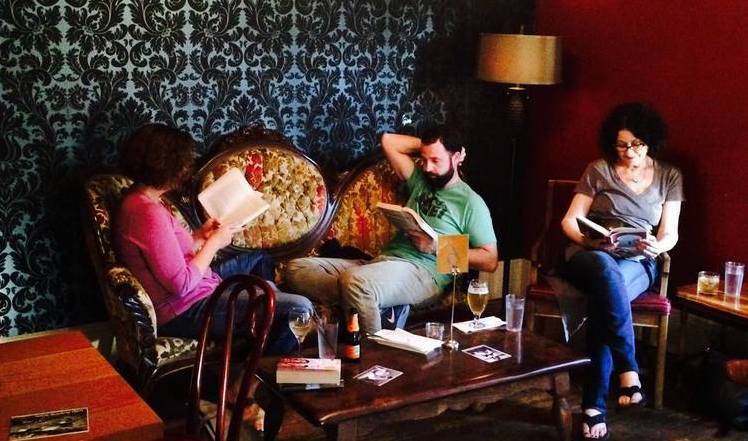 Strangers gather in a comfy place to read in silence among fellow lovers of reading. But is it weird? The people who started this practice worried that it might be. But they threw the party anyway … and people came. And loved it! “Now we hear from people that they can’t fit reading time into their lives, and this gives them the excuse to do it. People tell us they love being around other readers, getting a break from high-contact socializing, getting affirmation that other people love books too. And there’s something special about the silence, too. We so rarely sit quietly with strangers. It’s restorative, almost church-like. It’s really beautiful to look around and see a room full of people who’ve made time in their lives to read together. It gives you faith in our species. Sounds great to me. Here’s Book Riot‘s link if you want to read more about it, or see how to put your own Silent Reading Party together. Happy reading!